MGA offers customers an extremely wide array of durability test solutions. Test options range from full scale approaches utilizing Proving Grounds, to in-lab solutions in which test durations are reduced to only include damaging content. Concerning durability and reliability issues, MGA has a staff of experts specializing in different aspects of testing including data collection, analysis, test design, procedure development, and results interpretation. Confirming the integrity of the data including channel verification and data repeatability. Analyzing the data by removing non-damaging segments of each of the events recorded (dead time). Further analyzing to determine sequence playback which captures 95% or more of the damaging events, while substantially reducing the in-lab test duration. Establishing the sequence playback for the in-lab simulation. 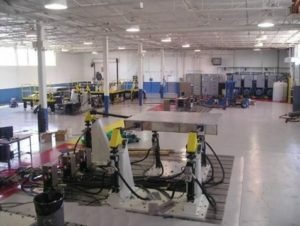 MGA has been conducting Servo-Hydraulic Simulation and benchmark testing for over 15 years, and in that time, has developed a national reputation for high quality testing services. MGA has conducted numerous multi-axis projects on systems and components including exhaust, chassis, frame, trailer hitches, seating, cooling systems, interiors, and suspension. These durability tests have been conducted for a wide range of OEMs, both foreign and domestic, and their suppliers. 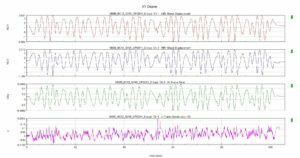 Single or multi-channel fatigue utilizing block cycle or real time data simulation. Multi-channel frame based real time simulations. 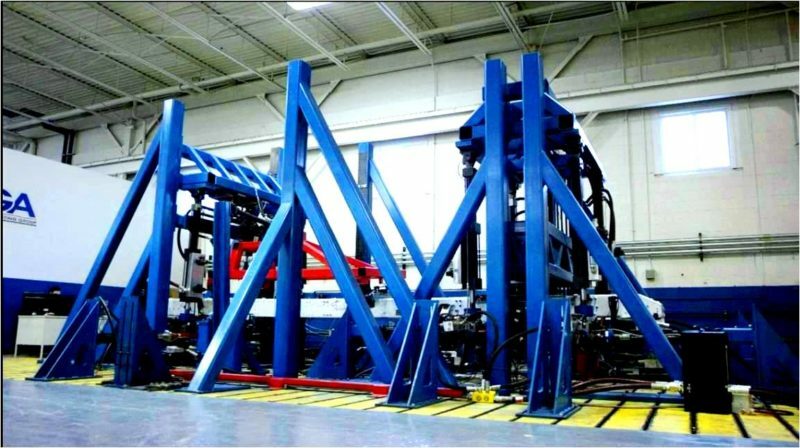 Multi-Axis Simulation Table (MAST) with 6 Degrees of Freedom – MGA operates a total of 25 tables of various sizes across its network of labs. Dual MAST for chassis and exhaust durability. Real time trailer hitch durability (weight carrying and weight distributing). Real time or block cycle durability testing on chassis and suspension components including cradles, control arms, knuckles, suspension links, full suspension assemblies, stabilizer bars, and many more. Vibration durability on front end modules, instrument panels (vibe endurance and key life test), exhaust systems, spare tire carriers, seats (ST-0009, Heidedauerlauf, Creaking and Knocking, BSR, Oscillation Durability), and many more. 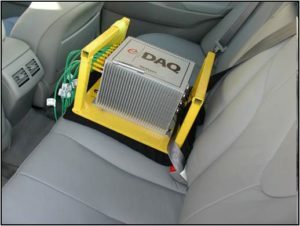 Road Load Data Acquisition (RLDA) equipment. Latest MTS® controls with FlexTest controllers and RPC® Pro software. MTS® and MGA built hydraulic actuators ranging in size from 2.2kip to 135kip of force capacity. MAST ranging in size from 4’x6’ to 6’x8’. High speed hydraulic actuators utilizing 3-stage valve drivers up to 120in/sec. Load cells ranging in size from 50lbf to 200k lbf. Large inventory of accelerometers and strain gauges to meet a wide range of test requirements. Anechoic chambers for noise evaluations. Environmental chambers for durability testing at a wide range of conditions. Hot gas simulation up to 1000° C.
or by phone at (248) 577-5017.